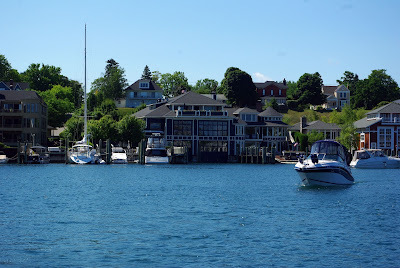 Lake Michigan (and beyond) Boating Adventures: Day 7: Charlevoix back to Petoskey - "Goodbye Wet Ink!" Day 7: Charlevoix back to Petoskey - "Goodbye Wet Ink!" 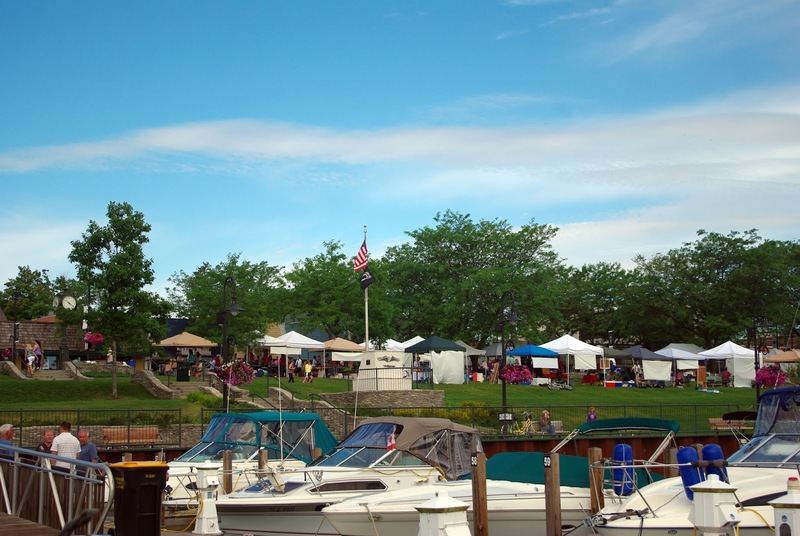 Thursday: August 1st: Today is the day we head back to Petoskey and bid farewell to Wet Ink and our Northern Michigan vacation. We spent the last morning in Charlevoix, making friends on the dock and checking out the Charlevoix Farmer's Market, right outside the marina. We stayed as long as we were able, since others were waiting for our slips, and packed up the boats to head to Petoskey right around noon. 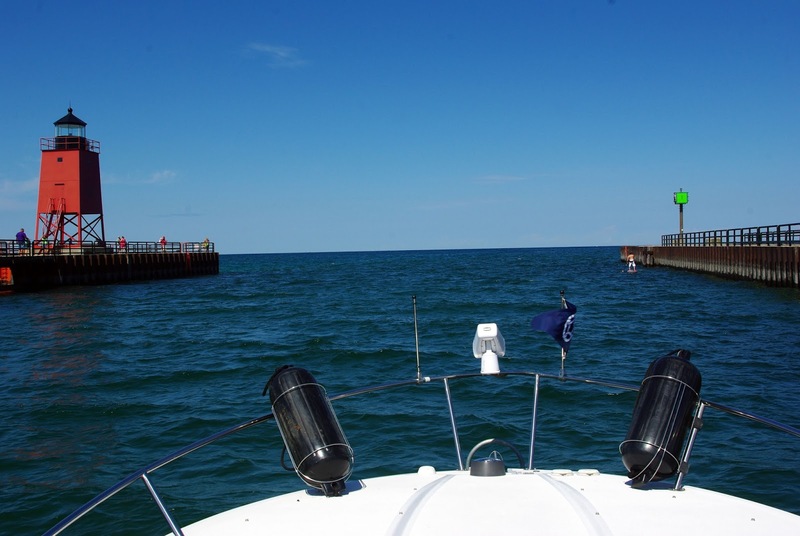 It was a beautiful, sunny day, and the lake conditions were the best they've been on the trip. We're very sad to leave! 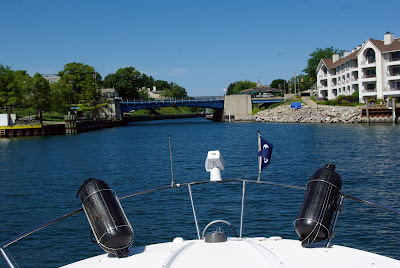 When we get back to Petoskey, we will first take the truck to fill up on gas and supplies for Canada, call Verizon to add international calling/data to our plans, then get the boats back on the trailers and bid farewell to Wet Ink. We called the Spanish Marina to check on their hours, and we will need to get there by 9pm. We'll be cutting in close, but it should be ok, we hope! 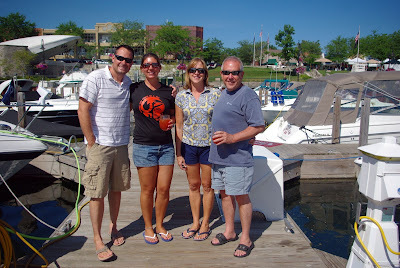 We had a wonderful week in Northern Michigan, exploring Petoskey, Power Island, Traverse City, and Charlevoix with Dennis & Christa on Wet Ink. 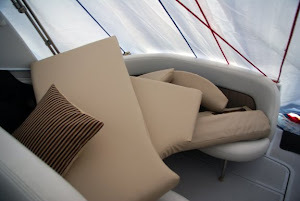 We found that it was really enjoyable traveling with another couple, something we've never done on a boating trip! Hopefully we will have the opportunity to travel together again... Charlevoix 2014? Next up... the road to Canada! Hey, Did they sell Wet Ink? I saw a boat like this at Grand Sport Center.